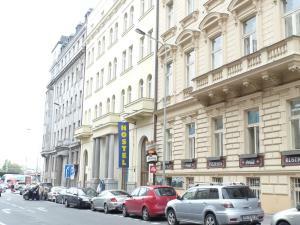 Located opposite the Florenc metro station, Jurys Inn is a 20-minute walk from Prague’s Old Town Square and 5 minutes by metro from Wenceslas Square. It offers free WiFi, an on-site gym and bike rental. The spacious and modern soundproof rooms at Jurys Inn Prague include a flat-screen TV with satellite channels, a work desk and complimentary tea and coffee. Snacks, pastries and coffee to go are available at the all-day coffee bar. 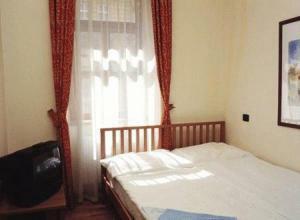 Pension Unie price per day from €40 In the centre of Prague, 50 metres from the Těšnov Tram Stop and 300 metres from the Florenc Metro and Bus Station, Pension Unie is a 15-minute walk or 4 stops by tramway from the Wenceslas Square. All rooms come with a kettle, a toaster and a minibar, and include a private bathroom with a shower and free toiletries. A hairdryer and ironing facilities are for free and on request. Pension Unie is located on the 6th (top) floor of an office building, which has a non-stop reception desk and a self-service restaurant. Hostel One Home price per day from €21 Located in the centre of Prague, 400 metres from the Powder Gate and the Municipal House, Hostel One Home offers a 24-hour front desk, a shared lounge area with a sofa and with computers. Free WiFi is provided in the entire building. Each of the dormitory rooms features a seating area, lockers and a shared bathroom. Laundry facilities are provided on site, and guests can also use the shared kitchen, the terrace and the luggage storage. Restaurant CzecHouse Grill & Rotisserie, Prague Guest reviews: 9,2/10 ~ 0,2 km from Jurys Inn Prague Address: Pobrezni 1, 1860 00, Prague. Cuisine: American. 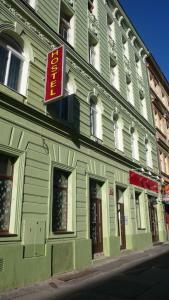 Restaurant Sansho, Prague Guest reviews: 9,2/10 ~ 0,3 km from Jurys Inn Prague Address: Petrska 25, Prague. Cuisine: Asian. Restaurant BUTCHER'S Grill & Pasta, Prague Guest reviews: 9,4/10 ~ 0,4 km from Jurys Inn Prague Address: Mlynarska 1, 11002, Prague. Cuisine: American. 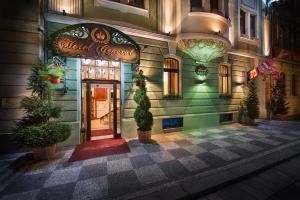 Restaurant K The Two Brothers, Prague Guest reviews: 9,4/10 ~ 0,4 km from Jurys Inn Prague Address: Petrska 1136/12, 110 00, Prague. Cuisine: Indian. 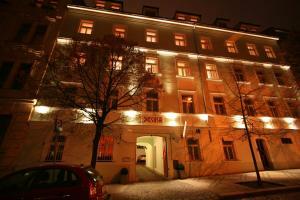 Restaurant Grand Cru, Prague Guest reviews: 9,6/10 ~ 0,5 km from Jurys Inn Prague Address: Lodecka 4, Praha 1, 110 00, Prague. Cuisine: International.